A Flyin’ Skein is owned by Cindy Clark. 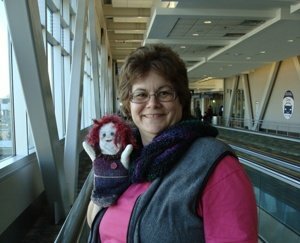 Affectionately known as “The Yarn Lady” in her hometown of Seward, Cindy enjoys building relationships with folks who visit her store, which she opened in August 2007. Cindy is passionate about teaching and encouraging others to discover hidden skills.